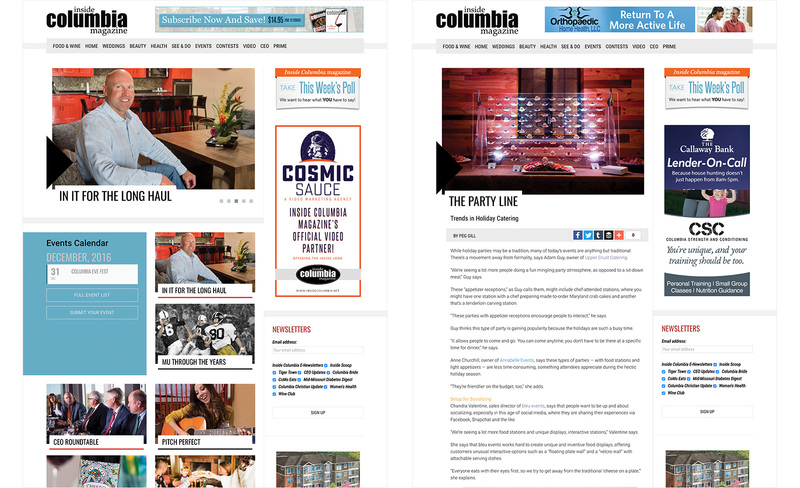 We've had the privilege of helping multiple magazines bring their unique content to the web with Wordpress websites that work on all devices, including tables and mobile phones. 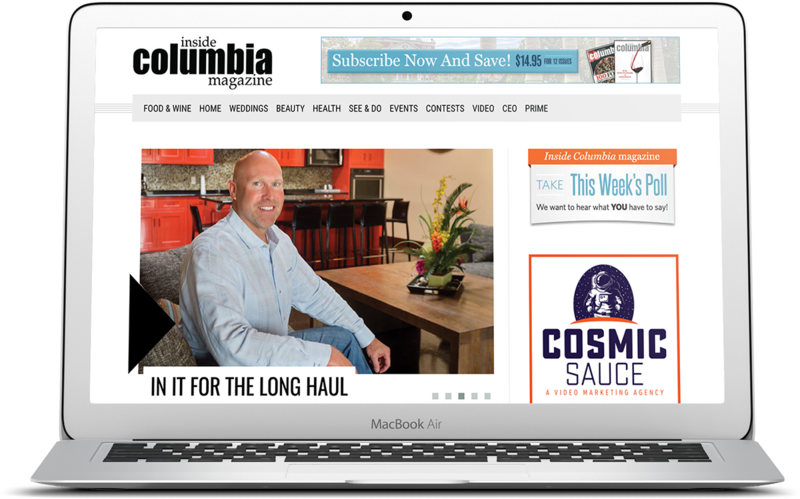 Originally having a website hosted by a large magazine publishing platform, Inside Columbia Magazine came to us in need of a complete web overhaul, ranging from a new website to hosting and email marketing. Their old site was not mobile friendly and allowed for minimal customizations, plus it was built through a proprietary CMS, meaning they couldn't edit pages easily. After a full review of their technological needs, such as a better way to send email newsletters, we worked on a website that would be easy to update and maintain. Our design focuses on minimalism, letting their unique pictures tell the story for each page. We also added in new features, such as a robust community calendar and video portal. Hub & Spoke is a creative agency with offices in Columbia and St. Louis, serving Missouri and the midwest with responsive website design, graphic design, print design, video production, email marketing, website design, branding, identity design and much more. Copyright © 2013-2016 Hub & Spoke. All rights reserved. Hub & Spoke, Find Focus and related marks are marks of Hub & Spoke.